New Orleans is full of culture - every neighborhood offering you it's own adventure. The French Quarter is kind of like a ball pit from when you were a kid - fun while you’re in it, but once you leave, you’re just glad you got out alive. The sheer number of bars and restaurants can be overwhelming, but if you know where to look, you can discover some amazing spots between the fake voodoo shops, kitschy galleries, and everything on Bourbon Street. Check out my favorite places to eat and drink in New Orleans and whatever you do, go easy on the Hurricanes. Meauxbar is located on the perimeter of the Quarter and it’s more likely filled with neighborhood locals than visitors in town for a convention. 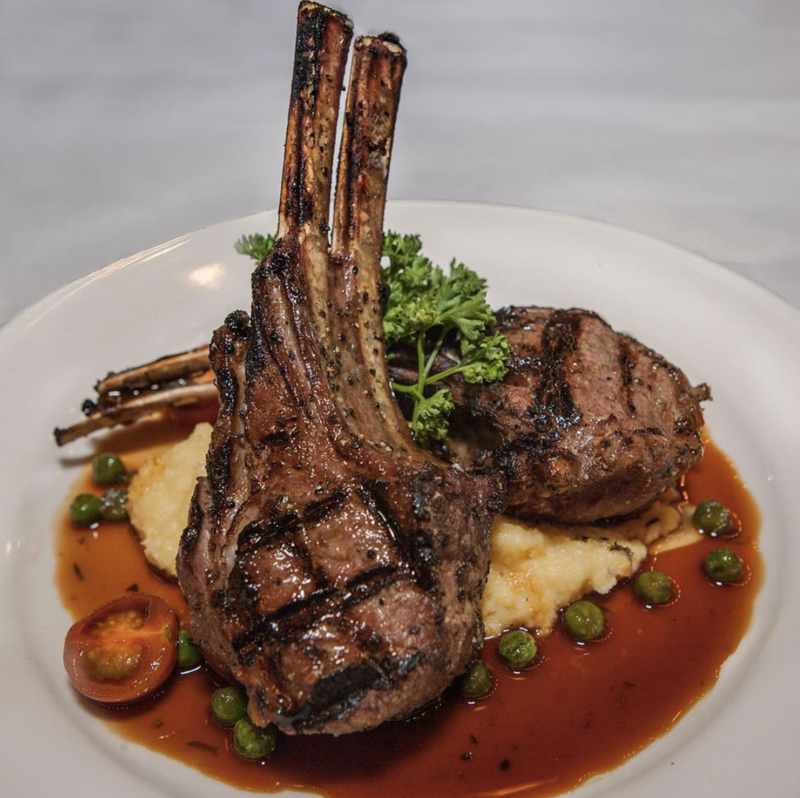 They serve a mix of classic French dishes, like chicken liver pâté and hanger steak au poivre, along with a range from other cuisines such as gnocchi and yak-a-mein — a local noodle dish topped with stewed beef and eggs. It’s a great option for when you want to split a few plates, down some interesting cocktails, and get recommendations from a couple who came down for Mardi Gras in the 70s and never left. 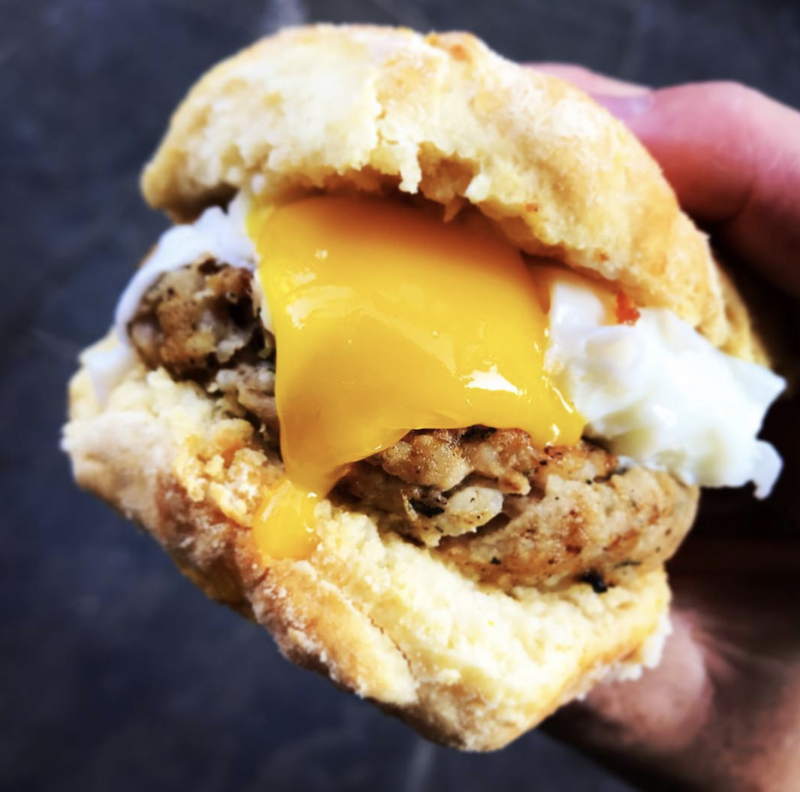 In case you can’t get enough of Meauxbar, they also serve brunch Friday through Sunday. Despite being named after the French word for rabbit, Compere Lapin does not have rabbit in it’s menu, which is no doubt a relief to any who have them as pets. Instead, it serves a mix of French, Italian, and Creole dishes inside the Old 77 boutique hotel. Between their brunch, lunch, and dinner menus, this place in the Warehouse District covers a lot of ground, with dishes like dirty rice arancini and curried goat with sweet potato gnocchi, along with one of the largest wine selections in the city. It’s a bit more upscale, but it’s one of our favorites for celebrating a birthday, anniversary, or just being on vacation. In case you’re in need of a snack or caffeine boost instead, stop at Tout La, their cafe next door, for some pick-me-up coffee and pastries. Friday lunch at Galatoire’s is a New Orleans right of passage. To do it properly, you need to sit in the downstairs dining room, which requires getting in line on Bourbon Street before it opens at 11:30am. Yes we know lines are tiresome, especially when they start before lunchtime, but once you’re in, it’s basically an upscale party where the servers wear tuxes, drinking is definitely encouraged, and you can eat old school classics like shrimp remoulade and gumbo. In other words - it’s worth the wait. If you’re looking for a proper “Yes, I’m definitely in New Orleans” way to kick off your weekend — start at Galatoire’s. It’s hard to tell if Cane & Table is a restaurant with great drinks, or a fancy cocktail bar that serves surprisingly good food. One thing we do know though is that the biblical punnery in their name is second to none. 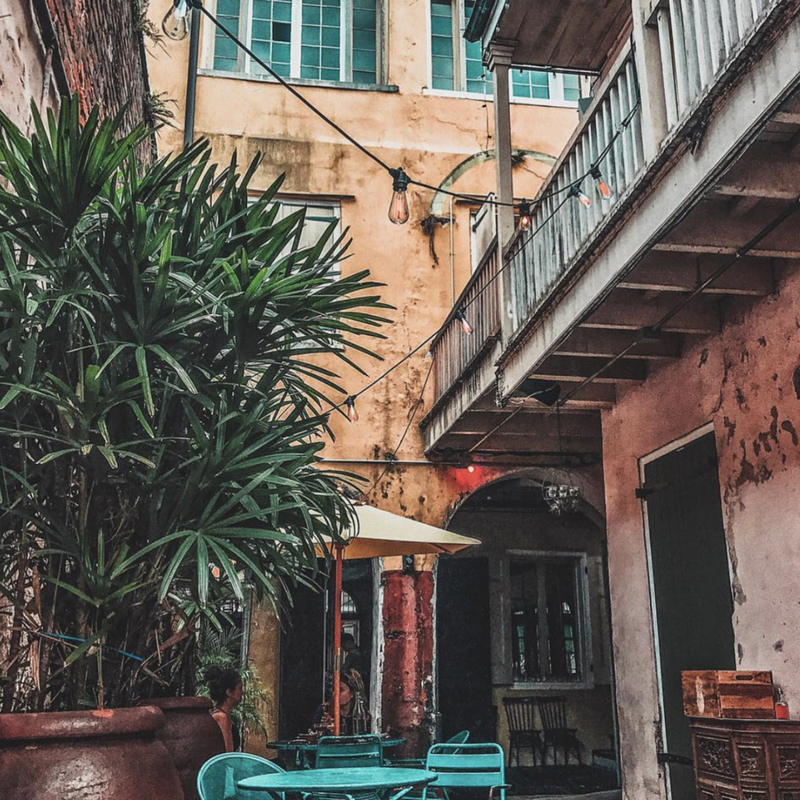 This is one of our favorite spots in the French Quarter, and their large courtyard at the back is the perfect place to stretch out with ample room and escape the chaos of nearby Bourbon Street. They have one of the most diverse cocktail menus in the city and serve a mix of great small plates and entrees, like green gumbo and a whole roasted fish. Whether you need a place to accommodate a big group or somewhere unpretentious for a date, Cane & Table has you covered. Down a picturesque alley just a block and a half from Bourbon Street is a place that sounds like The Incredible Hulk’s ideal woman — Green Goddess. There’s nothing in this little outdoor restaurant to make Dr Banner angry though, unless you object to a mix of vegan and vegetarian dishes, along with cheese, charcuterie, and some very nice cocktails. It’s a great date spot, or the perfect refuge from the overcrowded bars nearby, and if you’re eating with someone who always makes specific requests when they order (sigh - there’s always one), Green Goddess is a place that has something for everyone. The po’boy might be the most famous sandwich in New Orleans, but the muffuletta is a close second. The giant Italian sandwich is so big that Jesus probably would have only needed about ten of these to feed the four thousand. You can find it across the city, but it was invented at Central Grocery in the French Quarter and that’s where you should go for one. This Italian specialties shop looks like it’s from another century, which makes sense since it opened in 1906. There’s always a lunch crowd, but the muffulettas are constantly being made so the line moves quick, and once you’ve tried to eat a whole one, you won’t be moving anywhere for quite a while. The French Quarter gets packed on the weekend, especially when you’re looking for a good date spot, so most of your options are crowded dining rooms or small back patios filled with one too many tables, which isn’t especially romantic when you have a stranger’s elbow hovering over your date’s dish. Rather than deal with all of that, have dinner on the upstairs terrace at Cafe Sbisa instead. This vintage French-Creole restaurant is one of the few places in the area where you can have a few cocktails and eat some barbecue shrimp and crab cakes outside, while the crowd below stays comfortably out of earshot, so your date can concentrate on hearing your interesting anecdote that coincidentally makes you look good. After dinner, grab a drink at the bar inside, which dates back to 1899 and is the last refuge before you reenter the madness. What the Quarter lacks in the scale of po’boy options, it makes up for in quality, with two locations of Killer Poboys. While most po’boy shops keep to the classics, this place is much too daring to stick to the mundane — it is called Killer Poboys after all. You can expect a multitude of gourmet options with delicious toppings such as glazed pork belly and smoked salmon. Or if you’re looking to play it safe, classics like grilled shrimp or roast beef will serve you well. Head to the main shop for the full menu, or go to Erin Rose for a beer with your po’boy if you’d rather keep barhopping. Offering everything from breakfast, sandwiches, sliders to pipin' hot donuts - District Donuts has any and all of your cravings covered. They do everything from scratch, down to their sprinkles! Offering seven rotating donuts everyday, their catalog is now well over 100 options, but they'll always have their classics: glazed, cinnamon sugar and chocolate glazed. Sylvain is a semi-upscale neighborhood spot that you’ll wish was around the corner from where you lived, but your wallet will be glad it isn’t. Located just off Jackson Square in the French Quarter, this place serves some of our favorite all-purpose dishes, like pork Milanese, little neck clams, and a truly great fried chicken sandwich. Besides food, Sylvain is equally great just for drinking cocktails on their back patio, in case you’ve already eaten for the fourth time that day and need a break before dinner. Yes, cocktails are breaks. If you only have brunch once in New Orleans, it should be at Brennan’s. In fact if you only have it twice choose here both times. It’s that good, and really knows its stuff, which is probably why it's been around for more than 70 years. It’s known for both its excellent service and classic food, like eggs Benedict, gumbo, and a crawfish omelette. Plus do not forget to try the brandy milk punch if morning drinking is in your future (AM drinking is not a problem as long as the drink in question sounds elegant). If you don’t feel like battling the plethora of bachelorette parties that flock to Brennan’s earlier in the day, then come for dinner instead. Make sure to save room for the Bananas Foster, though, which is set aflame at your table side and one you should definitely not prepare at home without a fire extinguisher and 911 on speed dial. Whether you need a mid-afternoon pick-me-up or a post-bar snack at 3am, Cafe Du Monde is always open and has all bases covered. This place has been serving coffee and beignets in the same location on Jackson Square since 1862, which makes it about as vintage New Orleans as you can get, and while it’s one of the most touristy spots in the city, the coffee and beignets - which are available 24/7, everyday except Christmas - are worth showing up in the background of people’s vacation photos, or even the foreground if you’re particularly enamored with them. Smack bang in the middle of the French Quarter is Pat O’Brien’s, a bar famous for three things: inventing the Hurricane, late-night dueling pianos, and a flaming fountain. Any of these reasons alone are enough to discontinue reading and make the trip there post-haste. Combine all three and you should actually be sat in there now while you’re reading this review. While it gets packed at night, it’s an ideal spot to grab a few afternoon drinks, and theorize about why someone thought, “You know what that fountain needs? Flames.” Even when you’re trying to keep things low-key, Pat O’Brien’s is a classic and somewhere you should always check out for a drink or five. Pêche is a seafood spot ran by the same team as Cochon, and it takes just as high quality of an approach to fish as its sibling does to pork. The large, open space, along with the seafood platters and whole grilled fish, makes this spot in the Warehouse District ideal for big groups (take note bachelor and bachelorette parties). However, you can also come solo or with a date, grab drinks and oysters at the bar, and hope that the bachelor party I just told to go here doesn’t show up and cause too much mayhem. Bar Tonique is a cocktail spot just three blocks from Bourbon Street where you can sit at a big U-shaped bar, enjoy a well-made drink, and breathe for a minute. The bartenders here take cocktail making uber seriously, and as a result, each drink requires a while to make, but be patient because they’re making it with tender loving care. At the same time though, they have a daily $5 cocktail, meaning you can have two mai tais or Moscow mules before paying the same amount for one daiquiri at your next stop down the street. Located next door to the restaurant, Cochon Butcher is the more laidback, sandwich-centric version of its sister spot. 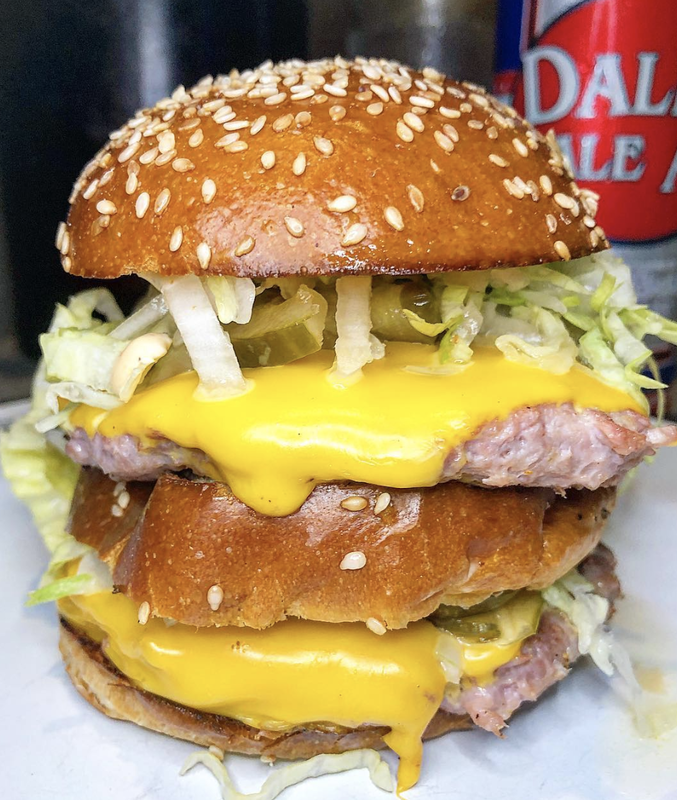 Here you can enjoy treats like one of the city’s best muffulettas, a grilled cheese bacon melt, and something called Le Pig Mac, which is basically a double decker pork burger with special sauce that makes it's namesake feel vastly inferior in comparison (which to be honest isn’t hard to McDo). If you’re making a list of lunch options for your visit, make sure to include Cochon Butcher towards the top. 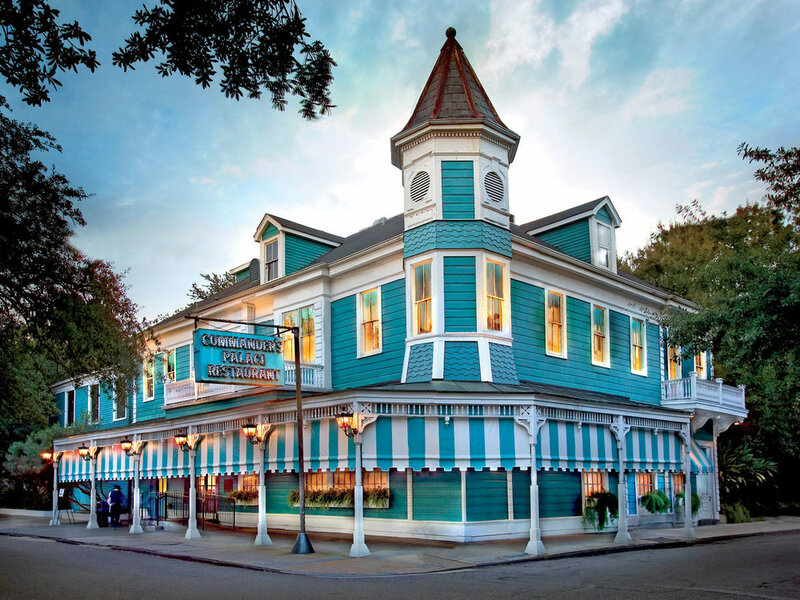 Commander’s Palace opened in the 1890s and is the quintessential New Orleans restaurant. This Garden District landmark serves all of the local staples, like turtle soup, gumbo, and barbecue shrimp, and it’s a great option for when getting a little dressed up sounds fun. If you want to drink 25 cent martinis while doing so though, head to Commander’s for lunch, when you can get two courses for under $25 and a few cocktails that will collectively cost you less than a dollar, which is pretty much 19th century prices. Depending on how you feel afterwards, check out the historic Lafayette Cemetery across the street, since pre-gaming a trip to a cemetery completely makes sense here. Paloma Cafe is an all-day spot in the Bywater destined to become part of your morning routine, unless you have a phobia of delicious breakfasts. There’s no real theme to the menu, but you’ll find everything from yogurt and granola and shakshuka at breakfast to a great lunchtime roast pork torta, along with high quality coffee. It’s easy to spend a lot of time here, not just because of the comfortable space and smiling staff, but also because you can quickly transition from coffee to cocktails and not think twice. After you stop by for breakfast or an early lunch, walk to Crescent Park on the river or grab a drink by the pool at The Country Club. The Auction House Market, a new Warehouse District food hall from the operators of St. Roch Market, has everything from sushi to Indian dosas. The food situation is lit here, but the dreamy aesthetic will have you swooning v hard and wanting to stay for as long as possible. Definitely a place you won't wanna miss. 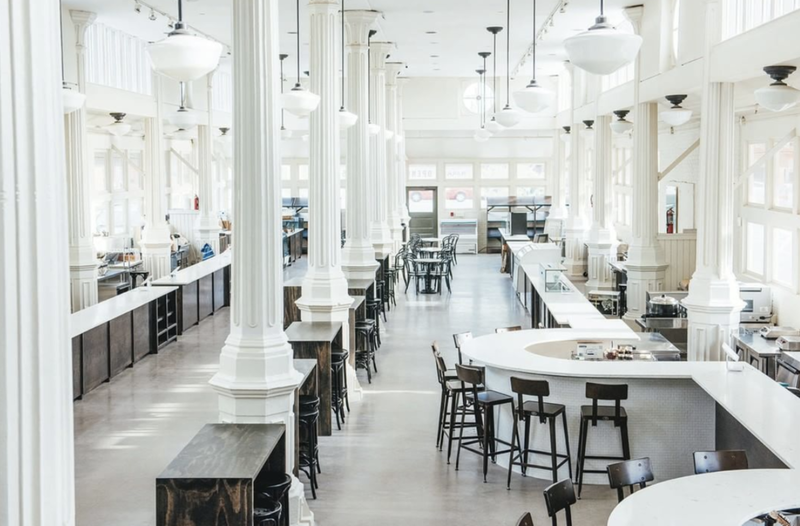 A food hall located inside a restored building from the 1800s; St. Roch Market brings together a wide range of local vendors that serve everything from oysters to Vietnamese food, charcuterie, fresh pastries, and cocktails. It’s a great place to pop in for brunch or lunch before exploring the nearby Marigny neighborhood, or if you’re with a group and everyone just happens to be in the mood for something different.